A chance for the president to make the case for opening Senate confirmation hearings for Merrick Garland. 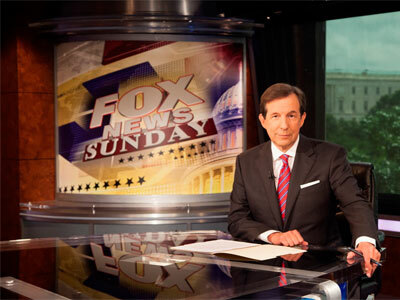 In all his time in office, President Barack Obama has never appeared on Fox News Sunday, although FNS host Chris Wallace has interviewed the president for Fox News in 2009 and 2013. This Sunday, FNS will air its first interview with President Obama since he has taken office. Wallace will record his interview with the president from the University of Chicago, where Obama will be on Thursday talking with law school students at the university where he once taught as a law professor. The visit, and the interview, will be variations on a theme, a chance for the president to put pressure on Senate Republicans to open confirmation hearings for Merrick Garland, the president’s Supreme Court nominee. Other topics on the list for the FNS interview include the elections and Obama’s legacy. The interview will mark POTUS’ first appearance on Fox News since 2014, when the president sat down for an interview with Bill O’Reilly. The interview will re-air on Fox News at 2 p.m. and 6 p.m. ET.